Lady Liberty Strides Confidently into 2017 with These Stunning Gold Eagles! Out of the many things we've learned in millennia of human experience, one thing is obvious -- gold endures. Whether it's used in commerce or kept away in vaults, the value and craftsmanship of gold coinage lives from generation to generation. So, after the South African Gold Krugerrand was introduced in 1967 and China's Gold Panda made its debut in 1982, it was absolutely inevitable that the United States would create a bullion coin for the ages. 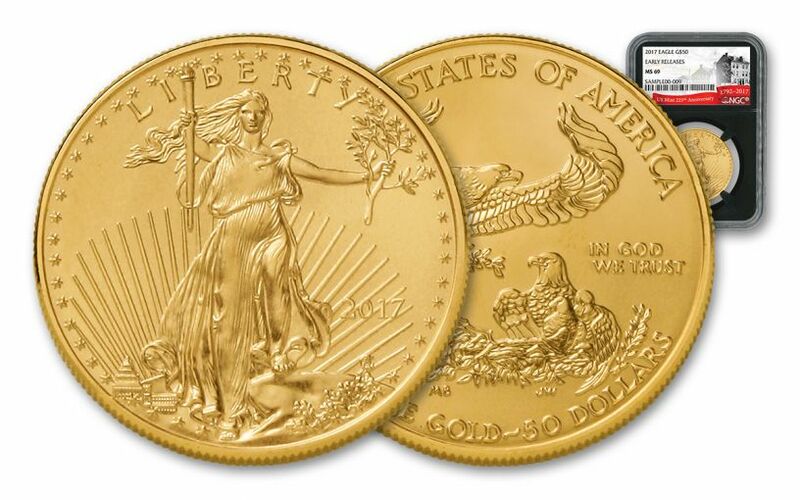 Authorized by Congress and signed into law by President Ronald Reagan in 1986, the American Gold Eagle Program would quickly establish itself as a global standard for bullion that is artistically rich, perfectly collectible and thoroughly American. Now celebrating its 31st Anniversary, the 50 Dollar Gold Eagle has returned for 2017. Each struck in one ounce of .9167 pure gold, these legal tender 50 Dollar Gold Eagles exhibit the stunning design of Lady Liberty walking forward with focus and purpose, torch in one hand and olive branch in the other. Born from collaboration between Augustus Saint-Gaudens and Theodore Roosevelt, the design reveals more beautifully intricate details (like the U.S. Capitol building in the distance) with each viewing. Sculptor Miley Busiek's design for the reverse, featuring a male eagle carrying an olive branch to his family, is just as evocative and symbolic. 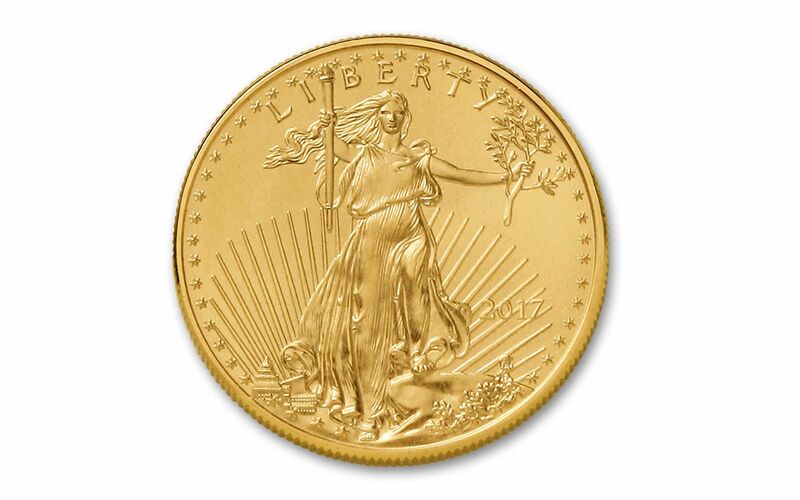 Your coin will be graded Mint State-69 (MS69) by Numismatic Guaranty Corporation (NGC), a distinction that means your almost-flawless Gold Eagle will showcase an impressive full strike and indistinguishable imperfections -- well above and beyond the quality of the vast majority of coins in the series. 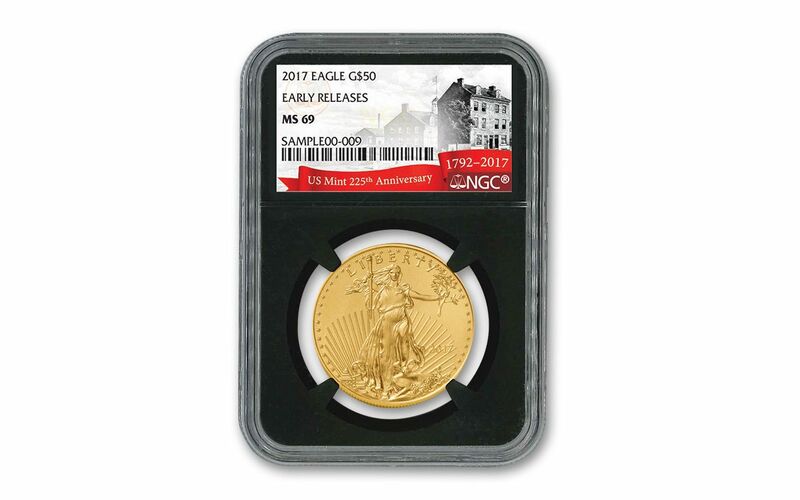 Your Gold Eagle will also be certified Early Releases (ER) by NGC, meaning that your coin was among the first struck by the mint and was certified within the first 30 days of issue. Your coin will be sonically sealed in an acrylic case with a black core insert -- giving you the best in protection while giving you clear sightlines and perfect visual contrast for every beautiful detail. 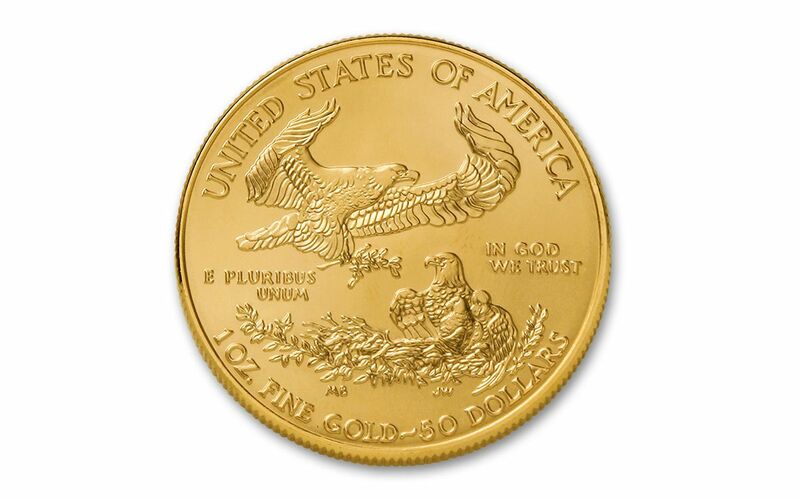 The general public can't purchase these 50 Dollar Gold Eagles directly from the U.S. Mint. Only approved bullion distributors can buy them directly from the source. Fortunately, GovMint.com is your connection to buy these stunning bullion coins mined from United States gold with weight and content guaranteed by the U.S. Government. Don't wait too long -- global demand for this popular series is consistently high year after year. Make these Gold Eagles part of your collection today!